Celebrating more than two decades in ministry in the Missouri Conference of The United Methodist Church I am a life-long Methodist. I was born in St. Louis and grew up in the Columbia/Jefferson City area. Following high school I became a licensed paramedic working on an advanced cardiac life-support ambulance. I later attended the University of Missouri graduating with a Bachelor of Journalism degree. When I answered God’s call to ordained ministry I attended Perkins School of Theology at Southern Methodist University in Dallas Texas receiving a Master of Divinity degree. My wife, Melissa, is also a pastor and we have two amazing grown children. I enjoy playing golf, playing guitar, and fishing for trout. I love preaching, teaching, and meeting new people. I invite you to explore all the wonderful ministries we offer here at Platte City United Methodist Church. You can reach Pastor Scott at scottbaileykirk@gmail.com. Phyllis retired in 2008 from DeLaval, Inc. after more than 20 years of service as Accounts Payable Manager. In 2011, she became the Business Manager for PCUMC. She and her husband, Terry, have two children and three grandchildren who live in the Kansas City area. 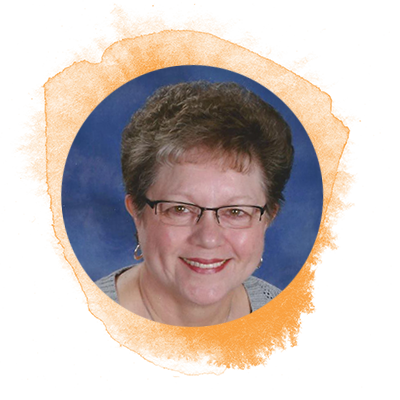 Phyllis enjoys spending time with friends and family, and especially her grandchildren. She is active in the local Platte City Friends of the Arts group and is also a member of Preceptor Epsilon Chapter of Beta Sigma Phi. Phyllis has been a member of PCUMC since 1977. Terry retired in 2005 after 40 years with TWA/American. In 2006, he became the Building Maintenance Manager for PCUMC. Terry and his wife enjoy visiting with their children and grandchildren, who live in the Kansas City area. In his spare time, Terry enjoys woodworking in his at-home workshop. He also loves spending time with his grandchildren and attending their various events. He and his wife, Phyllis, have been members of PCUMC since 1977. Lynn Sanders has been a part of the Platte City United Methodist church and surrounding community for many years. At the traditional Sunday morning service, Lynn provides organ meditations and accompanies hymns for the congregation. Lynn was the Platte County High School accompanist for choral and band programs prior to retiring. In her spare time, Lynn enjoys seeing musicals and cruise vacations. "So many awesome things are in motion here, and I'm glad I get to be a part of it! If you want to get to know a little about me, I'm from St. Joseph, MO. I studied Music at Missouri Western. I love jazz, games, and spending time with my family. I'm beyond excited to work and worship with all of you. If you see me on Sunday, be sure to stop by and introduce yourself. I look forward to seeing you all!" Dawn Sawle works to create a holistic worship experience as part of the media team, providing visual supplements to the service and technology management. Dawn is mother to two adult sons who live in the Kansas City area. On the weekend, Dawn enjoys exploring Kansas City with her husband, John Sawle. Robbin joined our team in 2014 as the Family Ministry Coordinator. She enjoys event planning and discovering new ways to minister to the smallest members of PCUMC and their families. If you'd like to get involved with Family Ministry at PCUMC, send Robbin an email at pcumcfamilyministry@gmail.com.